Whats new with garage door openers? We have one basic philosophy at OHD Greensboro and that is treat customers the way we want to be treated when we make a purchase. That is especially true when you call our residential service department with a service request. Our service technicians have the highest amount of training and experience in the Triad. We carry a complete line of replacement parts to service all major brands of doors and motors and we carry the latest in garage door openers right in our vans so a return trip is unnecesarry the majority of the time. Garage door motors have gone high tech and can be operated by a smart phone or monitored by your lap top or computer. They can also be programed to shut automatically if left in the open position for an extended period of time. This is great for the tech no geeks who has to have the latest and greatest apps in the coffee shop but if you want something practical look at one of the motors with a built in battery back up that can operate your garage door during a power failure. This is a must have for the elderly or anyone who would struggle lifting a garage door manually. 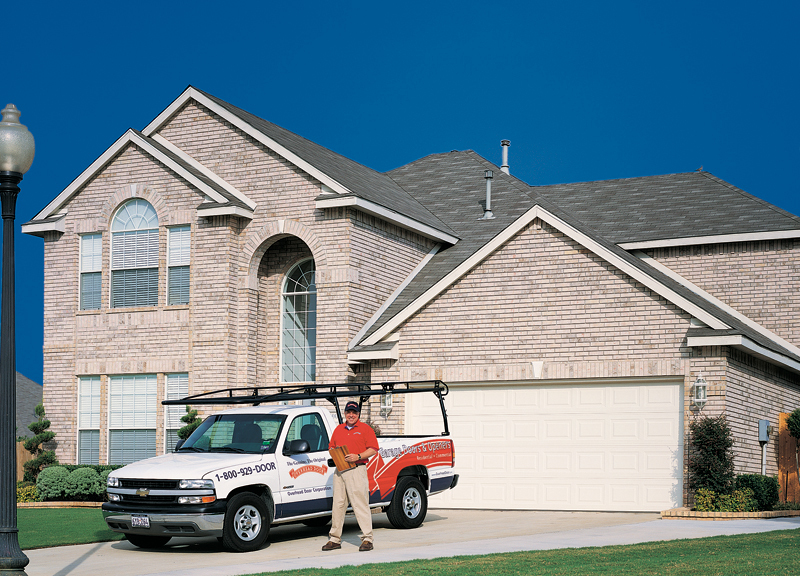 If you need any more information on the newest in garage door motor updates give us a call 1-800-333-3667.